What does my battery do? 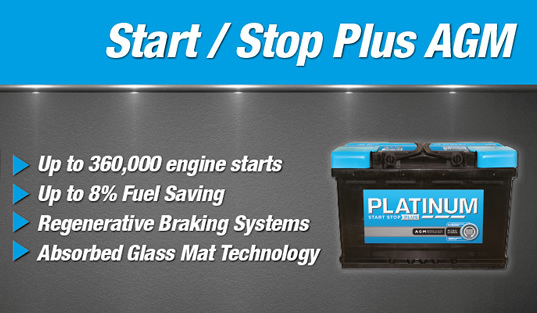 National Tyres and Autocare stock the Prestige range of car batteries manufactured to OE (Original Equipment) specification and used by many prestigious vehicle manufacturers including Toyota, VW, Saab, Lexus, Ford, Lotus, Honda and many more. Our car battery range is suitable for all types of vehicles and our battery sizes cover all the popular vehicle fitments. The Start/Stop Plus AGM batteries have increased cyclic performance. Not only can they cope with increased demand from fuel saving devices on the vehicle, they are also able to power a wider range of ancillary equipment than the ECM, even when the engine is in the idle position. Platinum Prestige with a 3 year guarantee. 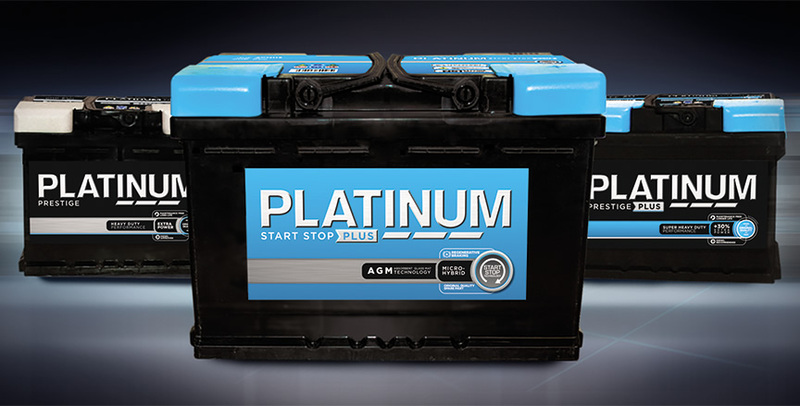 The Prestige range are flooded lead acid batteries and cover 97%+ of the European Car Parc. Although new technologies are emerging, Prestige will continue to be fitted to the majority of vehicles on the road. The entire range are produced on the same production lines that manufacture batteries for Original Equipment, using the same technology, man power, equipment, controls and quality inspections approved by the car manufacturers to whom they are supplied. This commitment ensures high performance, long service life and improved reliability making the Prestige range ideal for the vehicles of today. The Prestige Plus range has been specifically designed to exceed O.E specification and to offer superior performance, with increased service life, in even the most demanding conditions. With over 85% coverage of the European Car Parc, the Prestige Plus range is suited to those who demand more from their vehicle. Specifically designed to support vehicles with an increased number of ‘in car electrical loads’, such as DVD players, Media Players, Satellite Navigation Systems or iPod’s, the Prestige Plus exceeds consumer expectations. Without a charged battery - even the most powerful car is rendered immobile. Yet the battery is often one of the most neglected components in the entire car. Here's how to make sure that you keep your car's battery in tip-top condition and avoid being stranded at the roadside without the power to get you going again. The battery is most commonly located under the bonnet but in some cars it can be found elsewhere like under the floor in the boot. The two grey coloured posts on top of the battery are called 'terminals' and are marked ( + ) for positive and ( - ) for negative. To avoid damaging the electrical system, the terminals should be connected to the appropriate electrical lead. If in doubt, consult your car's handbook or better still - leave it to the professionals at National. Providing your car's alternator and drive belt are in good condition - the battery is re-charged automatically as you drive. In some cases, it can be removed from the car and connected to a domestic mains-powered battery charger - but care must be taken as the unit is heavy and contains sulphuric acid so it could be dangerous if dropped. If your car won't start a possible option is connect flat battery to another car's battery with jump leads ensuring that the leads are connected observing the correct polarity ( + ) and ( - ), however, ensure you refer to the manufacturer's handbook first. Some damage could result to the ECU in some cars if they are jump started, always check the manufacturer's handbook first. Most modern batteries require no periodic maintenance other than to keep the connections to the terminal clean and the fixing bolts tight. You can coat the terminals in petroleum jelly to prevent build up of corrosive material. 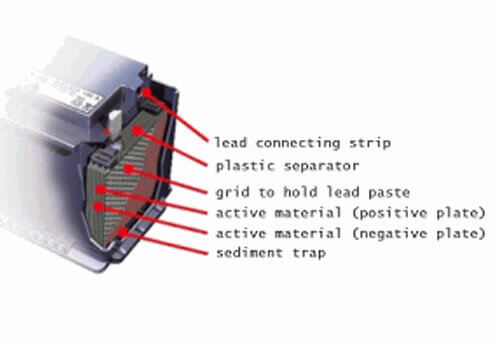 In the event of the loss of any electrolyte in the cells, they can be topped up with distilled or demineralised water until the plates are covered.. Eventually the internal condition of the battery deteriorates until it is unable to hold a charge and the battery has to be replaced. On a petrol engine car the first symptom of this is usually that it feels sluggish when you start the car. On a diesel engine car, it will usually just fail to start due to the higher cranking power needed for diesel. In-car entertainment and other electrical devices put your battery under even more strain meaning that it's now more important than ever to have your battery checked. Every day around 1,000 vehicles break down due to battery failure and faulty batteries are one of the main reasons for breakdown calls. Your local National technician can carry out a FREE battery check which only takes a few minutes and will advise you on exactly the right type of battery for your car depending on the engine size and the typical conditions in which you use your car. So don't get caught out – arrange for your battery check by calling 0800 432 0460 to avoid becoming a 'breakdown' statistic. Even the best battery can fail - and the consequences can be inconvenient and expensive! That's where National's superb battery guarantee comes in, offering total peace of mind. Should any fault occur with your battery National offer a full range of guarantees. At National - we recommend and fit only the best and most suitable battery for your car.